This 29 hectare domaine, another in the extensive famille Brunier stable, lies on the Piedlong and Pignan plateaus, the highest point in the appellation, and one particularly exposed to the fierce Mistral winds, which serve both to concentrate and ‘lift’ the profiles of the wines produced here. This, and the stony, barren soils give wines that combine velvety richness, a marked minerality and bright elegance to alluring effect. 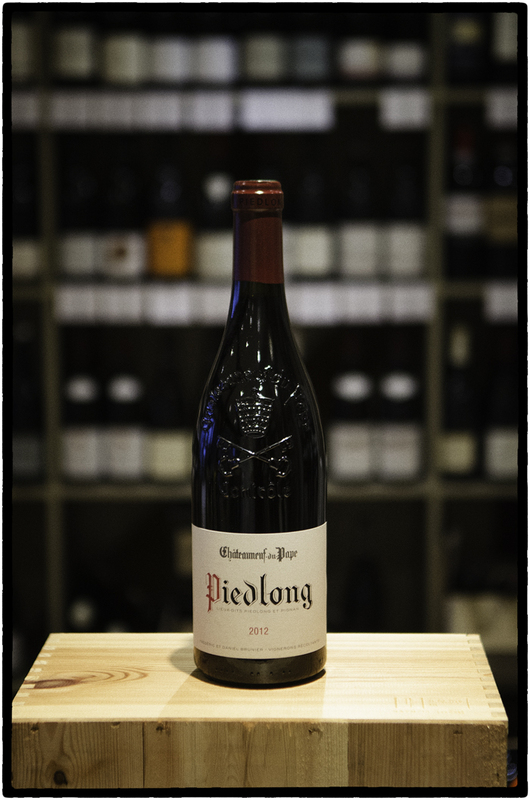 The blend comprises some 90% 70 year old Grenache from Piedlong soils, and 10% 50 year old Mourvèdre from the sandier soils of Pignan to the east. The grapes are handpicked and triple-sorted, with some destemming and a 30 day traditional fermentation in open oak and concrete vats, then 20-22 months in 60hl oak foudres, before being bottled without filtration. They are open and extremely attractive from their youth, but have the metier to age gracefully for at least a decade.